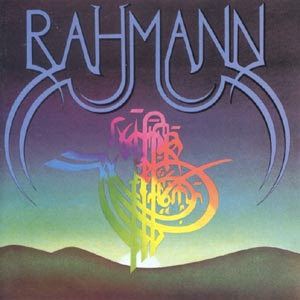 Fronted by a talented North-African guitar player, Rahmann made an album of energetic instrumental jazz-rock with strong ethnic (Arabian) and "zeuhl" influences. It was recorded at Studio Ramses, guaranteeing superb sound quality. A recommended album (which is among my favourite French jazz-rock albums along with Weidorje, Didier Lockwood's Jazz-rock and several efforts by Zao). It was recorded between 1977-78, but not released until 1979 as record labels were lukewarm about this rather advanced music. The brothers Mahmamad and Mecheraf jammed with the Lockwood brothers in a rehearsal room in Ivry shared with Magma (1972-74).